Weird or wierd? Necessary or neccessary? Recomend or recommend? English spelling is fiendish, but that doesn't mean you can't have fun with it. Accomodating Brocolli in the Cemetary is at once a celebration of spelling and a solace to anyone who has ever struggled with the arcane rules of the English language. As amusing as he is informative, Vivian Cook thrills the reader with more than a hundred entries -- from photographs of hilariously misspelled signs to quizzes best taken in private to schadenfreude-rich examples of spelling errors of literary greats -- that will tickle the inner spelling geek in every reader. It all adds up to a gem of a book that takes a wry look at the hodgepodge evolution of spelling and the eccentric way it actually works. Circle whichever one is right. 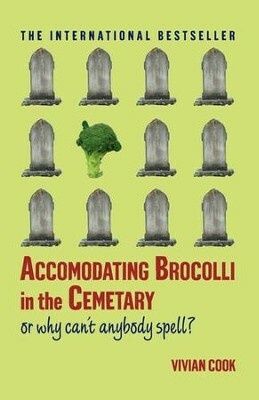 I'm the author/artist and I want to review Accomodating Brocolli in the Cemetary: Or Why Can't Anybody Spell - eBook.